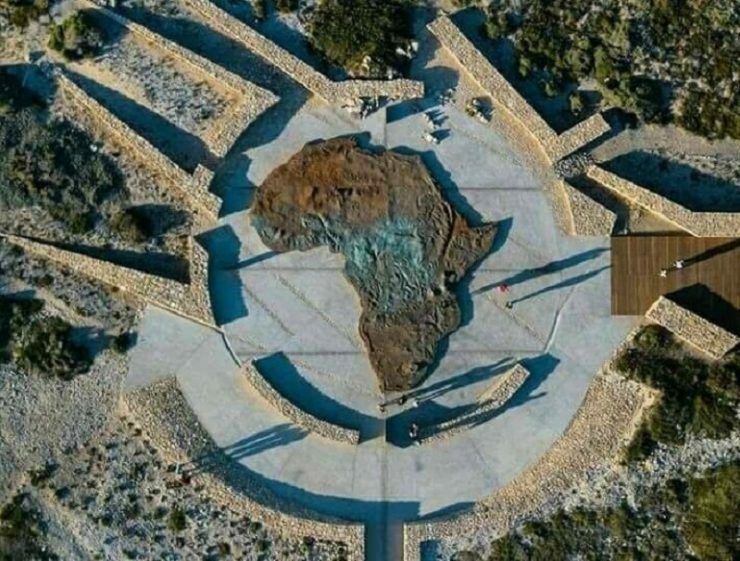 According to *Constructionreviewonline news report, the US $1m Iconic Map of Africa Monument in South Africa has been unveiled after a year of construction at the Agulhas National Park in Southern Overberg region. Speaking during the launch ceremony Derek Hanekom, Tourism Minister, said the symbolism of the map pays homage to the mighty African continent. “South Africa’s rich culture and heritage found in our national parks are key for tourism attraction. 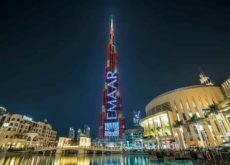 We can only therefore enhance these amazing tourism offerings by adding more features like the Iconic Map of Africa Monument to deliver memorable experiences to our visitors and ensure they return here again,” said Derek Hanekom. The million dollar project boasts a circumference of 30 metres. Located at the Southern most tip of Africa, it is one of the infrastructure features commissioned and developed at the Agulhas National Park by the Department of Tourism in collaboration with South African National Parks (SANParks), to enhance visitor experience and boost the local tourism economy. Works on the development included construction of the monument, a 1KM road, rehabilitation of the terrain and re-alignment of the boardwalk. The monument design shows the direction of the compass and includes representation of several African landmarks. It also lends itself to walking mediation or quiet contemplation while visitors behold the majestic confluence of the two mighty oceans – the Atlantic and Indian Oceans. During the project’s implementation, 79 residents from the surrounding community were employed including 7 small, medium and micro enterprises (SMMEs). Additionally the construction provided training opportunities to different beneficiaries, the skills included plumbing, tiling, painting, plumbing, tiling and plastering. Phase two of this project, due to commence in April 2019, will be the development of Lighthouse Precinct Project, which will include construction of a conference facility, and development a restaurant, interpretive centre, paving and walkways. Tourism is one of the main economic drivers and significant generator of jobs and revenue in South Africa. To give expression to its mandate, the Department of Tourism has been at the forefront of the commissioning and construction of destination enhancement tourism facilities through its Working for Tourism Programme. The Working for Tourism Programme supports both skills and infrastructure development projects. This is an Expanded Public Works Programme (EPWP) to promote employment opportunities and the transfer of skills to members of the community. 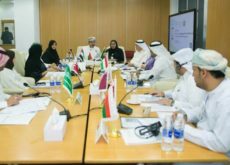 By extension, it seeks to create jobs through Public Employment Programmes (PEP) for tourism, by increasing the labour intensity of government-funded infrastructure projects.